I wanted to thank all of you for your support during the Pops in a Post contest. I did not win, but I was very honored to even be a finalist! Check out the winner here. It was near impossible to find something to heat up my Trader Joe's spaghetti Os. Which I lived off of over the weekend. I think I ate about 6 cans. This has meant that I haven't really caught up. I have dishes to eat off, of course, but each load only puts a tiny little knick in the mammoth piles of dishes in the sink and spread all over the counters. Everything I have cooked has been a repeat and something extremely easy to make without dishes (aka veggie burgers and roasted potatoes). So, I am going to apologize again for no posts. I am hoping to completely recover this weekend and be back to normal very soon. It's painful to be this out of whack. I also have a very exciting Valentine's meal idea that I can't wait to share with you. Today is the LAST day for votes in the Wilton Pops in a Post Contest! It's been such an honor to be included in as a TOP TEN finalist!! Head on over to vote for my Earth pops! They sure do like that crown! ;) Fingers crossed!! Don't forget to vote for my "Recycle or Die" Earth cake pops!! You can vote once a day! Voting ends tomorrow (Jan 19th). It only takes a few clicks and no registration is required! There are few smells that are as comforting as rising and baking bread. The whole apartment smells scrumptious for hours. It makes me want to eat the walls. Baking bread has become a lost art. When my friends found out that I have baked (and regularly bake) bread from scratch (without a bread maker! ), they all thought I was a magician. I'm not. It's ridiculously easy. And cheap. And tastes out-of-this-world. PB&J will never be the same. *The amount of water needed depends on your climate/humidity. Since it is winter, most climates will be drier and will probably need the full amount of water. Combine all dry ingredients a medium bowl. Transfer to a food processor (or stand mixer with paddle attachment, if you're lucky!). Slowly add liquids through drain, with processor or mixer running. If your dough is wet (or dry), add flour (or water) in small increments until dough is soft and slightly wet but still easily manageable. If you have a stand mixer, switch to your dough hook and let the mixer do the work for about 7 minutes. If not, pulse the food processor until dough forms a ball around the blade. On a LIGHTLY floured surface (like a Tb. tops), knead dough with greased hands for about 5 minutes. When dough is smooth, form into a ball. Place in a large, greased bowl, turning ball to coat with oil. Let rise 1-2 hours, until puffy (not necessarily doubled in bulk), depending on the warmth of your kitchen. We have a cold apartment. So, I always preheat the oven to 250 or so and let the bowl sit on top of the oven. Lightly press down dough and form into an 8" log. Place log into a greased bread pan. Let rise 1-2 hours, or until dough has risen about 1" above the rim. Preheat oven to 350°rees;F. Bake for 35-40 minutes. Tent with foil about halfway through the baking to prevent over-browning. Viola! Freshly baked bread! Let cool about 5 minutes before turning it on to a cooling rack. Be sure to slice off a piece and spread just a bit of butter. Then, sprinkle a teeny tiny bit of kosher salt. Heaven. Seriously. Fresh baked bread ranks up there with fresh baked cookies. These are thicker slices than normal bread (about 1/2 an inch). I'm sure if you have better knives/better cutting skills, you could get about 18 slices out of this loaf. But I like thick slices :) While it does take a while to make, with all of the rises, most of the time is hands-off. You can start the dough and do something else for the hours it takes to rise. I always do the full rising time too because it makes it lighter. I started baking bread last week because I was bored during the snow storm. Then, I remembered how easy it was. And what a treat it was to have fresh baked bread. So, I'm trying to bake a loaf each week for my sandwich bread; it's cheaper and I know exactly what's in it. Plus, I get 2 slices of fresh baked heaven as a little present each Sunday. :) I only wish it would last longer. About Wednesday, it starts to taste stale...which makes me wonder what's in the loaves (even the organic ones!) at the stores. Anyone know how to make it last longer without putting anything unsavory in it? And with that, I'll leave you with some pictures of the kitties. Because it's been too long. And they are adorable. So apparently, I'm not the only one who thought my Earth cake pops were super cute...I'm a top 10 finalist in the Wilton Pops in a Post Blogger Contest! Eeeeek! No registration required, no e-mail either! Just one vote per computer per day. Voting ends next Wednesday, January 19th. If these pops take the cake, we will definitely be having a celebration giveaway! This was one of my favorite meals before becoming vegetarian! Like top 5. You have no idea how pleased I was that it transferred well. :) And frankly, you can barely tell it's not meat. This is another one of those meals where the meat flavor was never needed so it's just not noticeable when it's removed. Mix all spices together and set aside. This is one of those fast moving recipes where it's essential to have everything measured out and ready to go. Chop onion and garlic. Use your handy dandy chopper if you have one. :) I should form a club. Chop the thawed veggie burgers. Chop the chocolate and measure out the vinegar and soy sauce. We are finally ready to begin! Heat oil in a large pot. Saute half of the onion and all of the garlic cook until soft, stirring, about 5 minutes. Add spice mix. Cook, stirring, until fragrant. Add chopped burgers and cook about 5 minutes. Add 1 Tb. salt. Add tomato sauce, diced tomatoes, bay leaf, and 1 1/2 cups water. Simmer the mixture until slightly thicker. Add chocolate, vinegar and soy sauce and cook until thickened but still slightly soupy, about 15 minutes. Discard bay leaf. Now, there is an assembly to Cincinnati chili. First, place 2 oz spaghetti in a large bowl. Top with a large ladle of chili. Top with 3/4 cup kidney beans. Now you have two options: onions and cheese, or just cheese (4-way or 3-way). I've had it both ways and prefer it without the onions but that's just my opinion. It depends on whether or not you like raw onions, which I'm not a fan of. If you need a cheese suggestion, here ya have it. This cheese was AMAZING. Such great flavor. Just make sure your cheese has a very sharp flavor. Pretty high for us actually. But this meal is soo good. Definitely worth a lighter lunch that day, in my opinion. ;) Like I said before, this meal is polarizing. I have heard this on TV specials about it and have witnessed it as we had a guest just HATE it once. It's such a unique flavor...but I will say that both of us just love it. Really, it's that good. So at least try it! Who knows, maybe over spaghetti will become the only way you serve chili! While this wasn't made over the weekend, it sure would have been a welcome meal since we were snowed in. Like I said, I'm not a fan of snow. And when you live in a place that rarely gets snow, it's normally not a problem. But apparently every one else in Georgia ADORES snow and they don't like it when I curse it. But, be subjective for a minute. Georgia is not New York. I have a right as a Georgia citizen to expect my snow interaction to be very low. It's very clear that our government does because of the way snow gets handled down here. Schools have been closed for 3 days and today is my first day back to work (hellooo small paycheck!). The mail just started today. FedEx and UPS aren't even delivering. And I have fabulous shoes supposed to already have been delivered. BOO. Another thing, Georgia doesn't get pretty snow. This time we got the nice kind even. Nice, fluffy snow. About 7 inches. Then, the next day comes. And it's not quite as cold so it rains. Then the night comes. Everything freezes. The roads are pure ice. The nice, fluffy snow is now under a 1/4" sheet of ice. I have mammoth icicles on my porch that could create a serious Grey's Anatomy situation. Even Antonio didn't like the snow. Case in point: me and snow are not friends. And I want spring. So that I can run outside with my new shoes. If they ever get delivered. Remember that Wilton Blogger Pops Contest? I was sent all of this good stuff to create my own, original pop for the contest! Cute, no? :) Let's get started with these pops. You can make whatever type of cake you like and use what ever frosting you like...but there's nothing more fun than funfetti!! With a simple buttercream frosting. I didn't have rainbow sprinkles so I used an Easter blend and a orange and red blend to make it. That's resourceful right there. Nevermind that the yellow sprinkles are little baby chicks. Our secret. Preheat the oven to 350°ree;F. Grease pans or line with cupcake liners. I made one 8-inch cake for the pops and 12 cupcakes for the husband. That's love. Combine flour, baking powder, and salt with a wire whisk. In a separate bowl, cream butter and sugar until light and fluffy. Beat in eggs one at a time. Add in vanilla and mix until combined. Slowly add flour alternatively with milk. Fold in sprinkles. Pour half of batter into each pan or separate into cupcakes. Bake for 20 to 25 minutes or until a toothpick comes out clean. Cool completely. 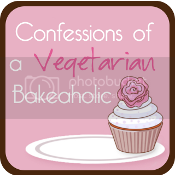 *I made a half recipe because we're not big on tons of frosting on cupcakes. Just a light layer for us. Sift confectioners sugar onto butter. Add vanilla and salt. Beat until creamy. It will look rough for a minute but give it time; it will work itself out. Viola! So simple. Depending on humidity, you may need to add a capful of milk to thin it out but no more than that! Crumble cake into a large bowl and add 1/2 cup frosting. Combine well. Form into balls and chill in the fridge for 20 minutes. Take the balls out of the fridge and put in a lollipop stick. Reform into balls if necessary. Chill longer until solid. Melt candy melts using a double boiler or a handy dandy Wilton Chocolate Pro. Originally I added food coloring to get a darker blue. Then the melts got all funny looking. And then I read the bag. Apparently this make the candy seize. Gross. So don't do that. :) If the candy does seize, just add some shortening to bring it back to normal. Slowly dip each ball into the candy and turn to coat. The first couple were rough but I got better with practice...so just keep goin! Do the best you can to draw the continents in green decorating gel. I had a map outline brought up on my computer screen to help. I drew outlines and then filled it with the gel. I made the mistake of using ALOT more than needed. You can spread the gel around with the tip instead of filling completely. Sprinkle green sugar on the gel if wanted. 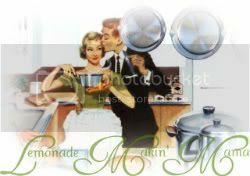 Disclosure - I was provided the products discussed in the post by Wilton for my personal use in the Pops Blogger contest.